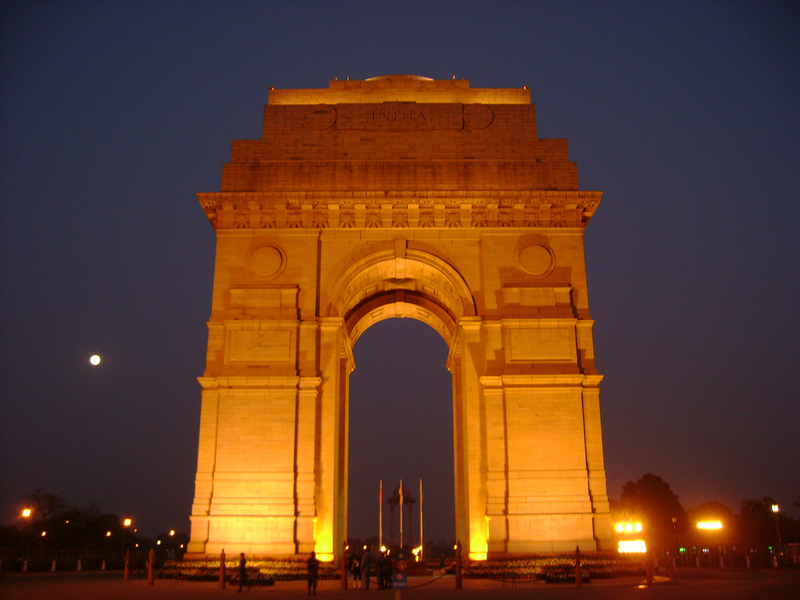 The famous Qutab Minar of Delhi is a tower that claims the distinction of being the highest stone tower in the country. 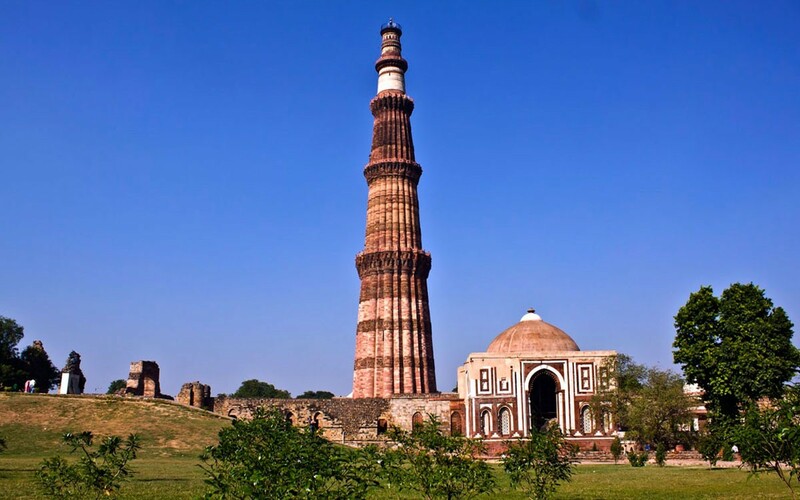 Said to be a tower of victory, it soars to a height of 73 m. Qutab-ud-din Aibak, after defeating Delhi’s last Hindu Qutub Minar kingdom, started the construction of this tower in the year 1193. Although Qutab-ud-din Aibak started the construction of the tower, he could not complete the monument during his lifetime. Later on, additions were made by his successors. 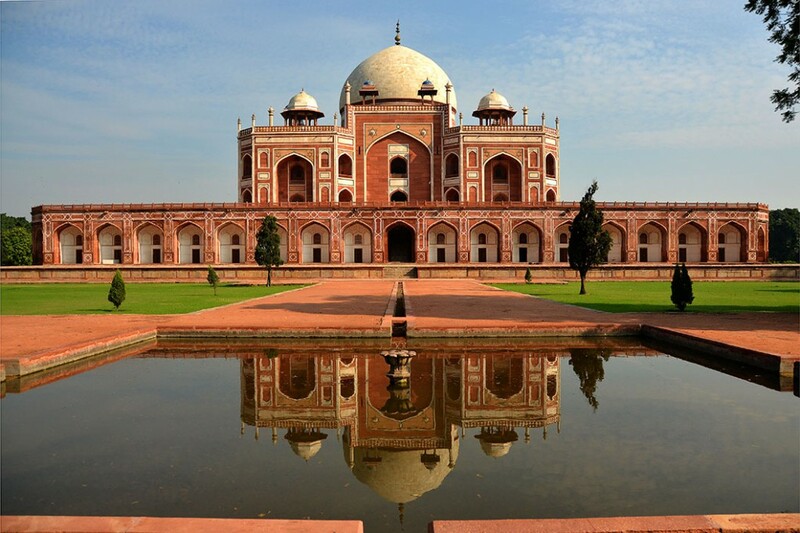 Three stories were constructed by Iltutmush, while the fifth and the last two was the work of Firoz Shah Tughlak. 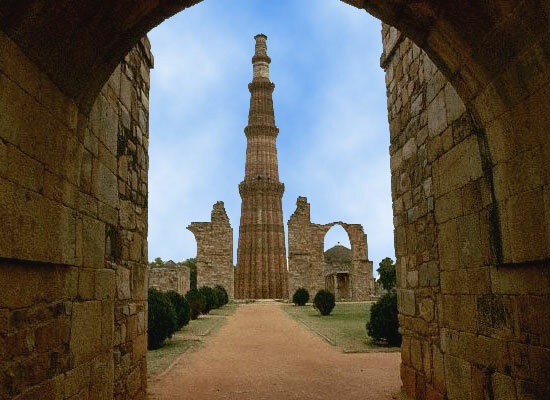 Delhi Qutub Minar is made up of five stories, with the first three being made of red sandstone and the fourth and fifth ones being made up of both marble as well as sandstone. Each of the stories has a projecting balcony with their diameter ranging from 15 m at the base to 2.5 m at the top. 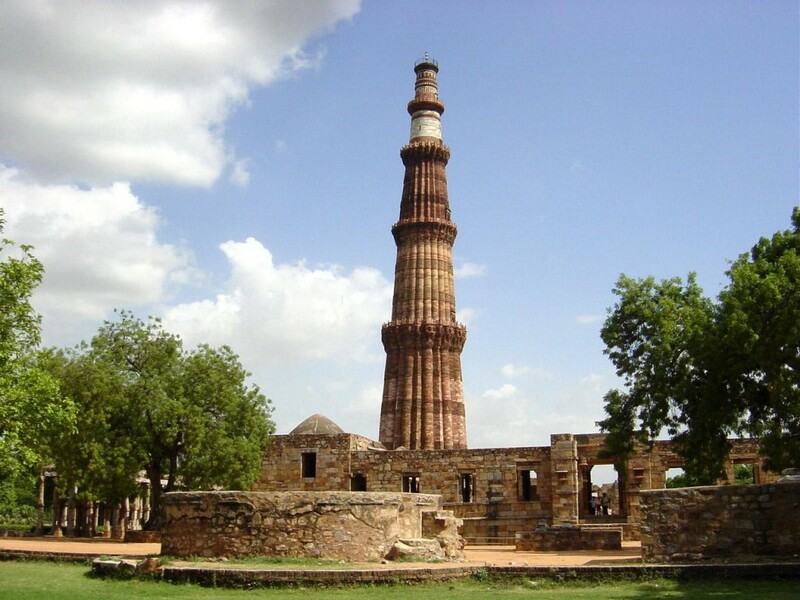 There is a little disagreement over the origins of Qutab Minar of Delhi. 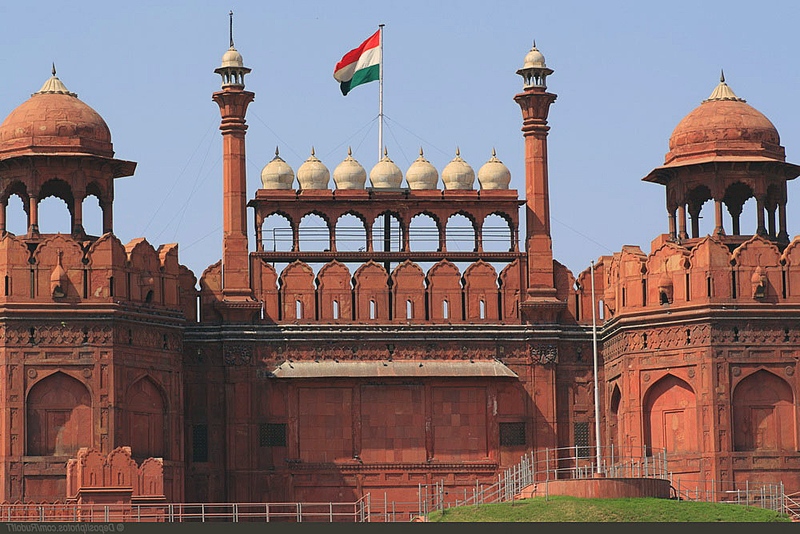 One legend has it that it was built as a tower of victory to commemorate the beginning of the Muslim rule in India. Another legend goes that it was built to serve as a minaret to the muezzins to call the faithful to prayer. Delhi Qutub Minar is adorned with bands of inscriptions, along with four projecting balconies supported by elaborately decorated brackets. 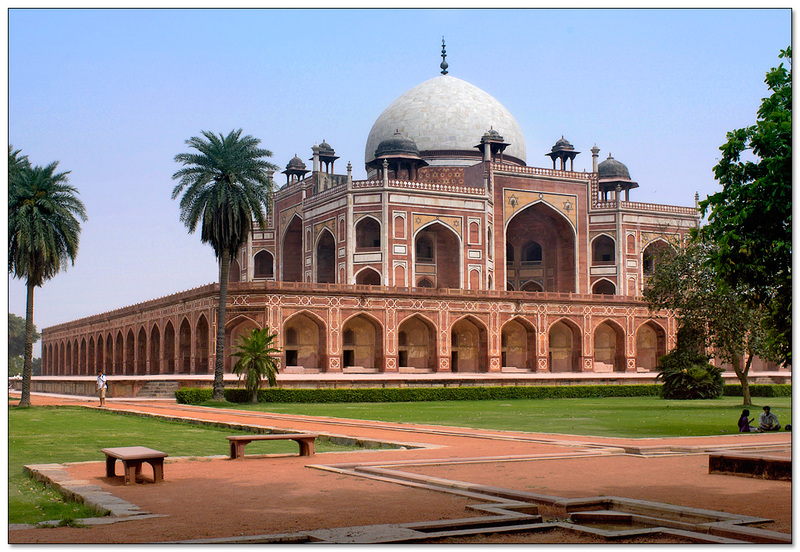 There is also the Quwwat-ul-Islam Mosque, the first mosque of India, which stands at the base of the Qutab Minar. Inside the courtyard of the mosque stands a 7 m high iron pillar. It is believed that if you are able to encircle it with your hands while standing with your back to it, your wish will be granted. Over the eastern gate, it is inscribed that the material to build it was acquired from demolishing twenty-seven Hindu temples.